Can I put a Remote Start on My Manual Transmission Vehicle? Yes you can! Not only do we carry manual transmission remote start models but also we have them in two different excellent brands, Compustar and Python. They will allow safe remote starting of your manual transmission vehicle. 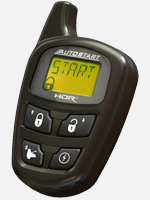 In addition, the manual transmission remote start is also available in a car alarm remote start combo package. The manual transmission remote start is set up to prevent unwanted or accidental starting with the transmission in gear. Therefor it is designed as a fail safe system. In fact you should come by and we’ll show you how they work. And we can probably even install one for you today! Can I Just Use My Factory Key to Start My Car? Yes you can if your car key is your remote control and you don’t want to carry a separate remote on your key chain. This option isn’t available with all newer vehicles but it is with many. However the disadvantage is your range, the distance from your car that you can start it. In other words your range will be limited to the current range of your current key remote. Specifically that’s the same range you get now when you lock or unlock your car. If you want longer range you’ll have to buy a long range remote start system. In addition many of the new remote start remote controls our very small. Come in and see them on display. Unfortunately we are unable to extend the range of your factory key. How about a remote starter on my Push-to-Start car where I don’t have to put in my key to start it? Yes, we do remote start systems on push-to-start cars all the time. Some require a bit more work and so are a little more expensive while others are not. 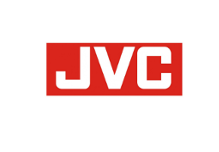 Call us and we’ll do our best to give you a pretty close estimate for your car. Can I put a Remote Start on my Hybrid? Yes you can. We have remote starts for hybrids. And with the remote start the car will pre-heat or pre-cool the vehicle depending on your climate control settings. As a result, once the desired temperature is reached, the engine will shut off. Then it will restart when it becomes necessary to adjust the interior temperature based on your settings. As you can see, a remote start for a Hybrid vehicle has great benefits! Will the Remote Start cool my car in the summer? Yes it will, as long as you leave your A/C controls set to cool with the fan switch on, it will come on automatically when the car is remote started. What About Remote Start Range? How far away does it work? The remote start manufacturer’s ratings on their products range are for best case situations. For example when a manufacturer says your range is 2,500 feet that is the best you can ever hope to get. In fact in the city with the amount of electrical interference all around us, the remote car starter could get only half to a quarter of the advertised range. Therefor instead of 2,500 feet you may get as little as 600 or 800 feet. As a result it’s not possible to guarantee range in every case. But don’t forget, even 300 feet is the length of a football field! Our standard remote starters have plenty of range for average use. And probably 70% of the remote car starters we sell are of the standard range variety. They do great and rarely do we get a complaint about range. If you feel you need more range we’ve got you covered. Most remote starters we carry rated above 3,000 to 5,000 feet (a mile is 5,280 feet) will do a great job for longer range needs. What if I need extreme range? We carry 900 mz spread spectrum technology remote car starters that give nearly a mile range best case. That’s over 5,000 feet. While you won’t get that far in a city, what you will get is the ability to activate your remote start from otherwise difficult locations. With the extra power, you will have the ability to remote start the car deep inside a shoping center, sports complex, or movie theatre parking garage. And you can even get confirmation on your remote control that tells you your car actually did start. That’s called a two-way remote start. 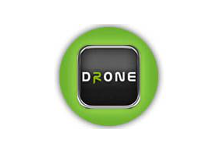 If you want unlimited range + confirmation, see this page on starting your car from your phone. In brief, with these systems you can start your vehicle, lock and unlock it from any distance, even from another city or state. What is a two-way remote Start? A two-way remote starter gives you feedback on your remote control that what you asked it to do got done. As an example, the remote control receives a signal from your car and confirms to you the doors locked or the vehicle started. 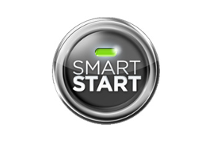 If you have an alarm as part of your remote start package it will confirm any alarm triggers. Accordingly your remote will make a beep sound and either flash a lighted button or show an icon on its display. This will tell you what it’s confirming. Since we carry many models in different price ranges with different remotes it’s best to come by to see the differences. Does the Remote Start include a car alarm? A remote start does not include an alarm but it can if you want. 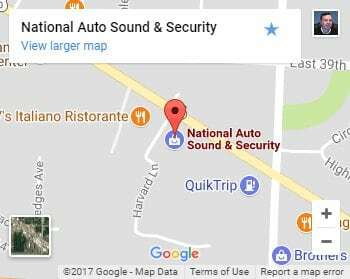 However, if you need the added security of our car security systems, you can purchase the remote starter with a car alarm in a combination unit. Therefor to learn more about remote start security systems click here to see Remote Start Car Alarms. Does Key-less Entry come with the Remote Car Start? Key-less entry, having your remote control lock or unlock your doors, is a feature which usually comes with the remote start (assuming you have working power door locks already on your vehicle), but on some cars it’s an option and so the remote start can be purchased without it to save money. Often the electronic interface modules that we use to install the remote start will include key-less entry but not always. Just because your remote has key-less entry or trunk release doesn’t mean the remote start remote will have these features. If you want these options to work on the remote start’s remote control, please let us know before we quote a price so we’ll make sure it’s included. In summary, a remote start system doesn’t disable any features on your factory remote control. They still work. When we install a remote start it does not disable the car’s original remote controls. They still work as they always have. On some vehicles, the car’s original factory remote controls won’t unlock the vehicle once the engine has been started. This is just how these cars work. If your car is like this, then you will want to make sure the key-less entry feature is included with your remote start purchase so you will be able to automatically unlock your car doors once the car has been remotely started, otherwise you’ll just have to unlock the car doors with your key.